Gold prices fell globally to near a five-and-a-half year low on Thursday as the dollar strengthened ahead of US economic data, but in India, the price varied between five and five-and-a-half year low. 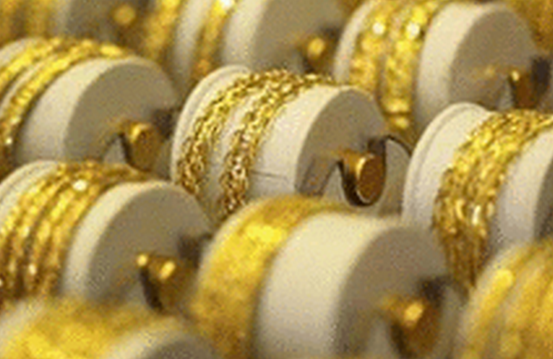 The yellow metal was trading at Rs.24,800 per 10 grams in the national capital. Internationally, gold prices fell more than 1 percent close to their weakest level since early 2010.' 'In India, the price is hovering between five and five-and-a-half year low. Theoritically with such lower prices, there should be great surge in demand. But there are media reports that it will further go down and people are withhelding their purchases expecting it to fall further,' Pankaj Parekh, former vice-chairman, Gems and Jewellery Export Promotion Council (GJEPC) told IANS. 'Even if the price does not go down further and stabilises, we will see surge in demand,' he added. Silver prices also dropped by Rs.150 to Rs.34,050 per kilogram.